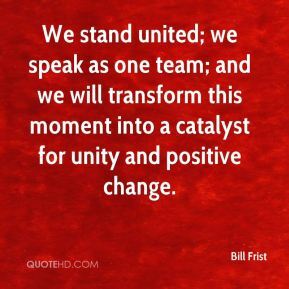 We stand united; we speak as one team; and we will transform this moment into a catalyst for unity and positive change. 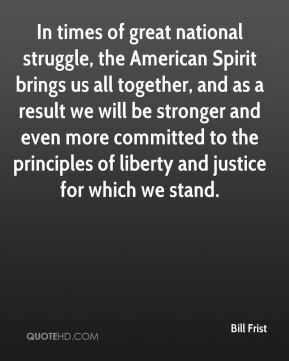 In times of great national struggle, the American Spirit brings us all together, and as a result we will be stronger and even more committed to the principles of liberty and justice for which we stand. We are a strong, robust, and prosperous nation. 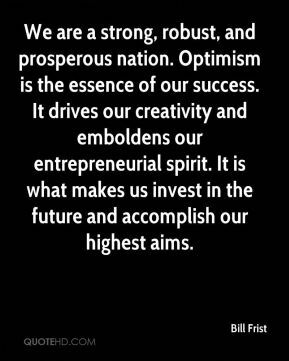 Optimism is the essence of our success. It drives our creativity and emboldens our entrepreneurial spirit. It is what makes us invest in the future and accomplish our highest aims. 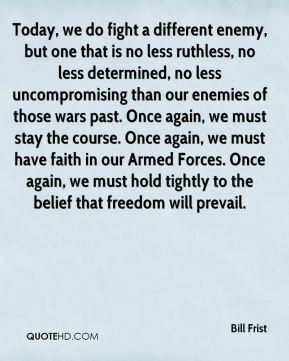 Today, we do fight a different enemy, but one that is no less ruthless, no less determined, no less uncompromising than our enemies of those wars past. Once again, we must stay the course. Once again, we must have faith in our Armed Forces. Once again, we must hold tightly to the belief that freedom will prevail. 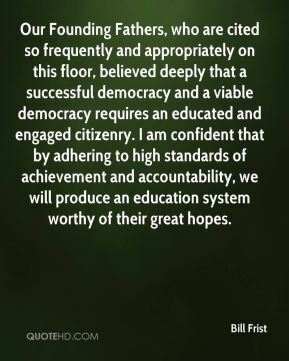 Our Founding Fathers, who are cited so frequently and appropriately on this floor, believed deeply that a successful democracy and a viable democracy requires an educated and engaged citizenry. I am confident that by adhering to high standards of achievement and accountability, we will produce an education system worthy of their great hopes. 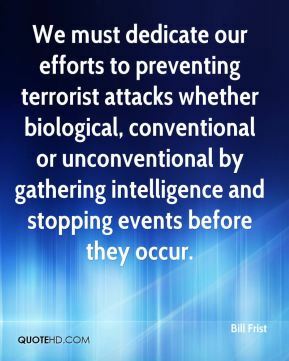 We must dedicate our efforts to preventing terrorist attacks whether biological, conventional or unconventional by gathering intelligence and stopping events before they occur. 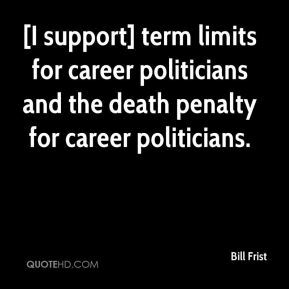 [I support] term limits for career politicians and the death penalty for career politicians. Until today, I've always regarded my most profound professional responsibility in my professional life the blessing I had to hold in my hands the human heart, recognizing all its glory and all its potential, and then technically seating it into the chest of a dying woman to give her life and a future she would not otherwise have. . . . A few moments ago, my colleagues gave me a responsibility equal to that -- some would even say a heavier one. I accepted that responsibility with a profound sense of humility. 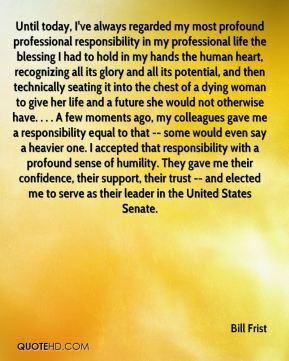 They gave me their confidence, their support, their trust -- and elected me to serve as their leader in the United States Senate.